This smoothie was delicious! It made me feel energized while not burdening my digestive system. The remainder of my day was just as successful. I snacked on carrots, celery, a granny smith apple, and some cantaloupe throughout the day to stay fueled up for my workout that day. For dinner, I had a beautiful summer salad consisting of: more organic baby spinach (yum! 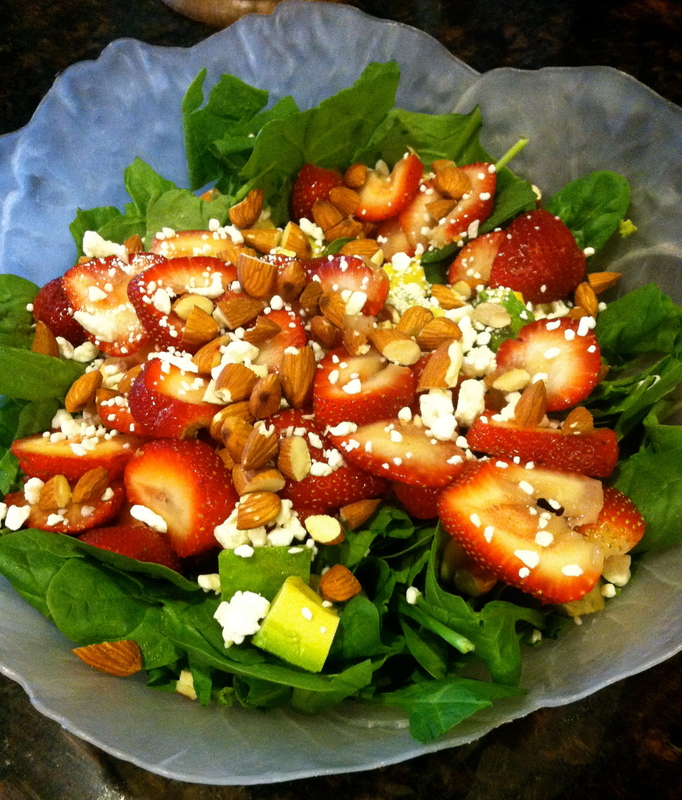 ), organic strawberries (quartered), one avocado, raw natural almonds (halved), and a sprinkle of feta cheese. I had the dressing on the side which was a total improvisation made up of: walnut oil, white rice vinegar, and lemon juice. After dinner, I went to the gym and had a GREAT session! I thought all was going well until my mind started to wander as I settled in for the night. Those times when I start to think too much and reality hits me. I thought a lot about Jessi last night. It all started when I saw something on Pinterest and I got the urge to text her to tell her about it. Why does my mind do this to me? The painful realization that everything is all too real. I would call this one of my occurring “sneak attacks,” but I brought it on myself with just minor things I remember about Jessi that I do not want to forget. Like how much we suffered from “separation anxiety” last summer and we would cope by texting each other out-of-the-blue. It was as if the time that elapsed in between those moments was never there and we just picked right back up where we left off. I remember her telling me about her trip to Georgia last summer and how she went to Paula Dean’s restaurant. I feel we were way too excited for teenagers about this, but she knew I would appreciate it with her—and I did. I was quite jealous that she got to embark on the butter queen (as we refereed to her)’s entrées. Or when she told me about her latest crafting endeavor: she made a maxi skirt and it was über cute. This summer is different though; I am lacking these small texts and it makes all the difference in the world… I miss receiving those small rays of sunshine. I miss her. It is difficult being so far away and trying to cope with reality because I never associated Houston with Jessi. It is too easy just to think that I will get to see her when I go back to school and that I just said goodbye for the summer like last year. I think back to our blooming plan for her to fly down and visit me in Houston this summer. I was so excited that I would get to share my past with my best friend. The place where I grew up and shaped who I am now. She was excited by the idea as well because I had spent time in her hometown and with her family already. I guess now, she knows everything about me, and that she is looking down and gets to experience Houston in a way that I cannot even fathom. 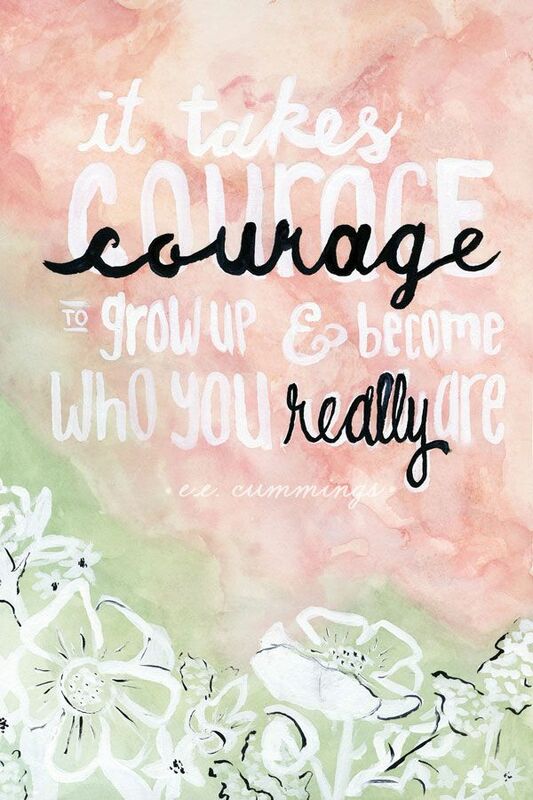 It is comforting for me to think this. I do not need a text from her I guess because she is always with me now, as she is with all of her friends and family. And that, is better than a mere text I would say. I am learning these things though. I guess that is part of my journey. With all of my “sneak attacks” and memories, I just grow stronger. I am learning to turn the sadness I feel when I remember Jessi into something more joyous like those small rays of sunshine that she often brought to my life.